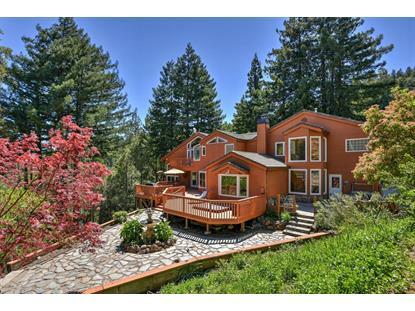 for $1,595,000 with 4 bedrooms and 3 full baths, 1 half bath. This 4,050 square foot home was built in 1993 on a lot size of 4.712 Acre(s). Serenity and stunning vistas are the hallmarks of this gorgeous mountain retreat situated on close to 5 acres. Designed by architect L. Pearson. Wonderfully updated and impeccably maintained, the home features vaulted ceilings, a gourmet kitchen with Wolfe range and attached solarium, media room with high-end A/V equipment and a tremendous Master Suite with a sauna. 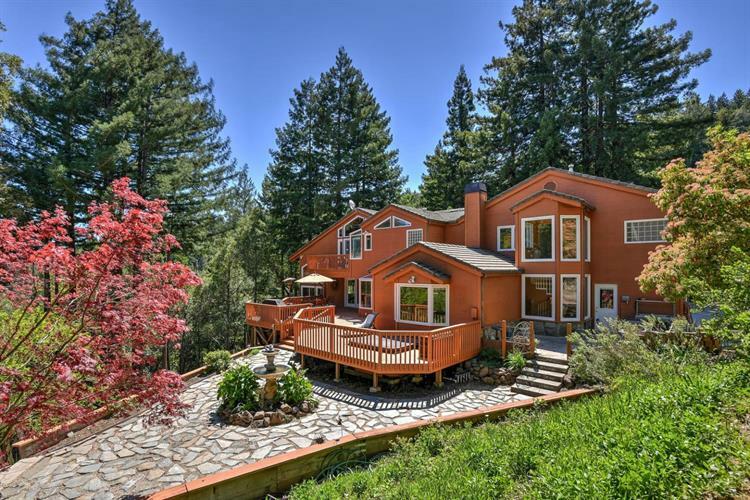 The gated property offers soaring Redwoods, ample usable land, numerous decks and patios, tremendous privacy along with and long-range views. Not included in the listed square footage is approximately 600 Sq. Ft. of bonus space currently used as a music room. Enjoy a tranquil mountain commute. Serviced by highly-desirable Lakeside Elementary and Los Gatos High School.